Less Slip and More Grip! A breakthrough in brush design has created a "square-round" barreled brush for one of the most versatile styling tools ever! 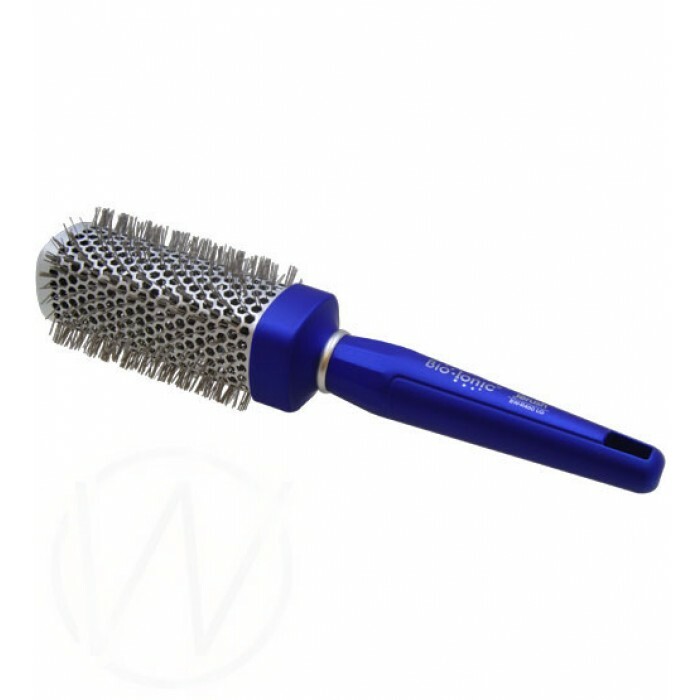 Wave-shaped bristles infused with Natural Ion Complex lock in to the hair for maximum conditioning benefits, by increasing the surface area of brush bristles coming in to contact with hair. Square-round shaped barrel speeds-up drying time, allowing the user to put more tension on the hair. Square-round barrel can be used for straightening, curls or waves. Incredibly lightweight for all-day styling. 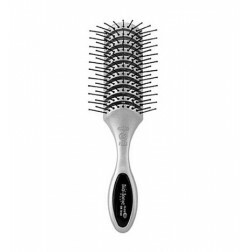 Minimize hair breakage and split-ends. Make hair significantly more manageable. Ergonomic handles make them easy to use. If you have a questions about this Product, Please do not hesitate to send us an email Here or call us at 1800 336 5250 (Mon to Fri 9am to 6pm EST) and we will try to do our best to answear any questions you might have. Shipping: We ship via USPS mail withing the U.S. All shipments take about 3 days in transit from the time the order is shipped. Most of the orders are shipped Priority Mail. (2day to 3day air). The processing time depends on the size fo the order and usualy take about 1 to 2 business days. Refunds may be obtained within 60 days from the delivery for any merchandise that is unused and resalable, EXCEPT ELECTRICAL APPLIANCES (see here), in its original new condition and original packaging. This policy excludes all nail colors, shampoos, hair color, cosmetics, and perfumes. THESE SALES ARE FINAL. These restrictions are due to product control and health regulations. Fashion And Beauty Store.com will not accept any returns/ exchanges after 60 days or purchase. Return procedure: All returns must be approved in advance, by us via email or phone, within 60 days of product being received. You will receive a return authorization number and address with 24 hours. ANY UNAUTHORIZED RETURN IS SUBJECT TO A 15% FEE TO COVER RESTOCKING. PLEASE DO NOT RETURN ANY MERCHANDISE UNTIL YOU HAVE RECEIVED A RETURN AUTHORIZATION NUMBER (RAN#).